South Korean musician Seo Taiji has funded the cost of planting 5,000 trees through the ecosystem services programme of World Land Trust (WLT). The trees have been planted on land that was formerly pasture, but is now owned and managed by WLT’s partner in Brazil, Reserva Ecológica De Guapi Assu (REGUA). The newly planted area is known as Seo Taiji Mania Forest. The location for Seo Taiji Mania Forest was chosen for its strategic value, as it lies between two existing areas of forest in an area known as the Matumbo Gap. Seo Taiji Mania Forest covers some seven and a half acres (three hectares). In all 120 different species of trees have been planted. All are native to the Atlantic forest, and come from seeds collected in nearby forests and raised in the REGUA nursery. Seo Taiji Mania is a group of Seo Taiji’s fans. In 2012, to commemorate the 20th anniversary of Seo Taiji’s debut, Seo Taiji Mania funded the planting of Seo Taiji Forest. 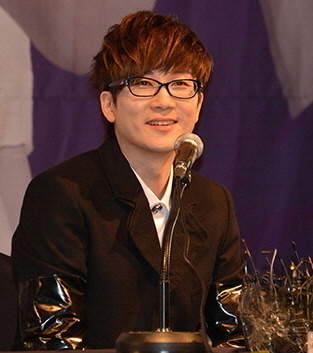 Seo Taiji wanted to return the gesture and plant a twin forest in the same area in the name of Seo Taiji Mania. This habitat restoration project is part of REGUA’s long-term strategy to conserve and consolidate the remaining fragments of Atlantic forest of the upper Guapi Assu river basin. REGUA will be responsible for protecting and managing the twin forests. WLT has been raising funds to conserve what remains of the Atlantic forest in partnership with REGUA since 2005. WLT supports the planting of native trees to reconnect fragmented habitat through the Plant a Tree programme.